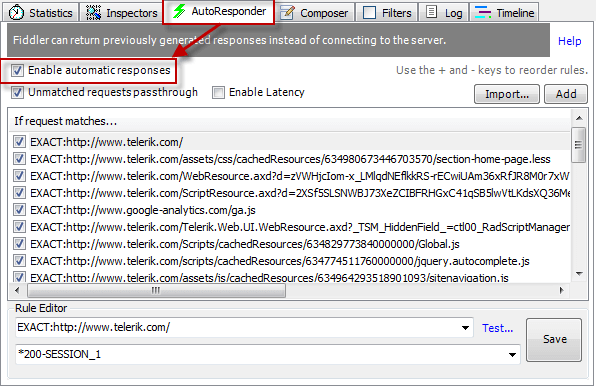 In the Autoresponder tab, check Enable automatic responses. Select sessions in the Web Sessions List. Press Control-click to select multiple sessions. Click the Autoresponder tab to the right. 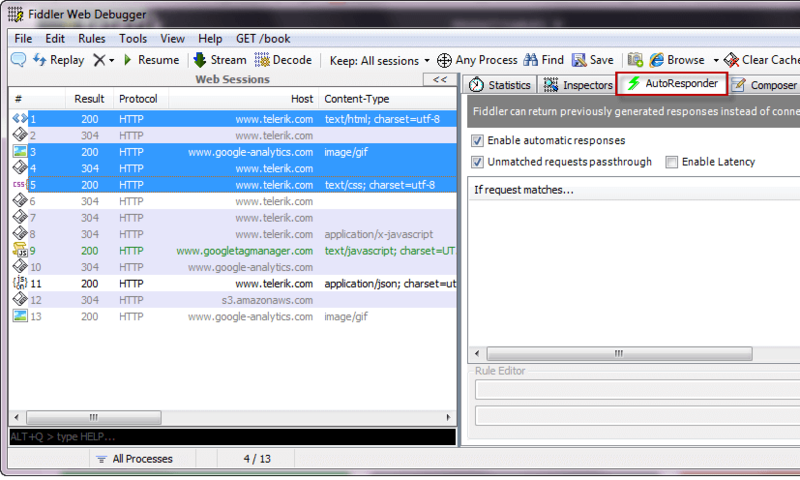 Click and drag the selected web sessions from the Web Sessions List to the rules list in the Autoresponder tab. The rules list will now populate with rules that respond to the captured requests with the corresponding captured responses.